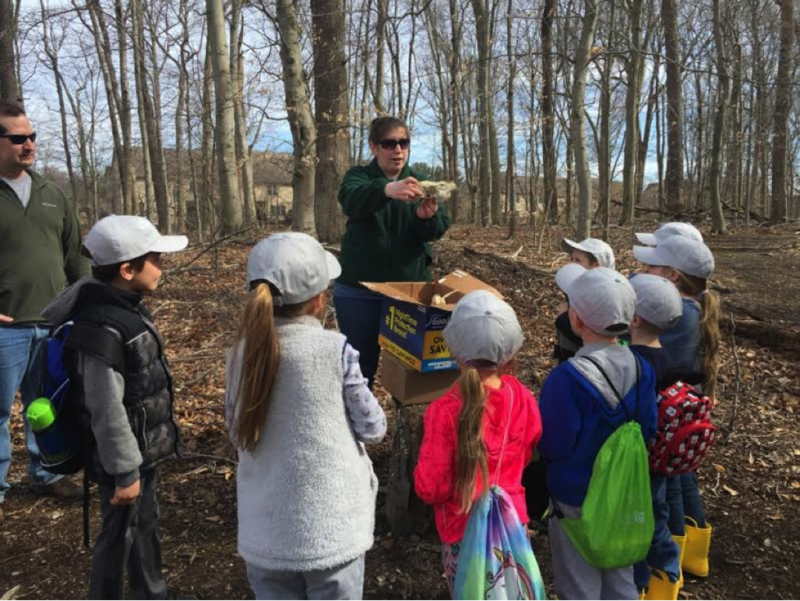 That was the exclamation of one of the kids of Chalfont Cub Scout Pack 133 as the kindergarten-aged “Lion’s Den” group happily trekked through Heritage Conservancy’s Hart’s Woods Preserve this past weekend. The hike was led by our Community Engagement Programs Manager, Shannon Fredebaugh-Siller, whose own son is a member of the scouts. Shannon guided the Cub Scout pack (including parents and some tag-along siblings) along the trails, helping to fulfill their “Mountain Lion Adventure” requirements by teaching them about hiking safety and respecting wildlife. Along the way, the kids also learned just how exciting it can be to connect with nature in the great outdoors! Fallen trees served as jungle gyms and balance beams as the Cub Scouts explored the woods. The young explorers crowded around to see the bird’s nest, small animal skeletons, deer and raccoon tracks, and macroinvertebrates that Shannon pointed out as evidence of what lived in the woods. As she went on to explain how Heritage Conservancy focuses on the protection of beautiful open spaces and natural resources, the kids were excited to receive their very own custom Heritage Conservancy hats! 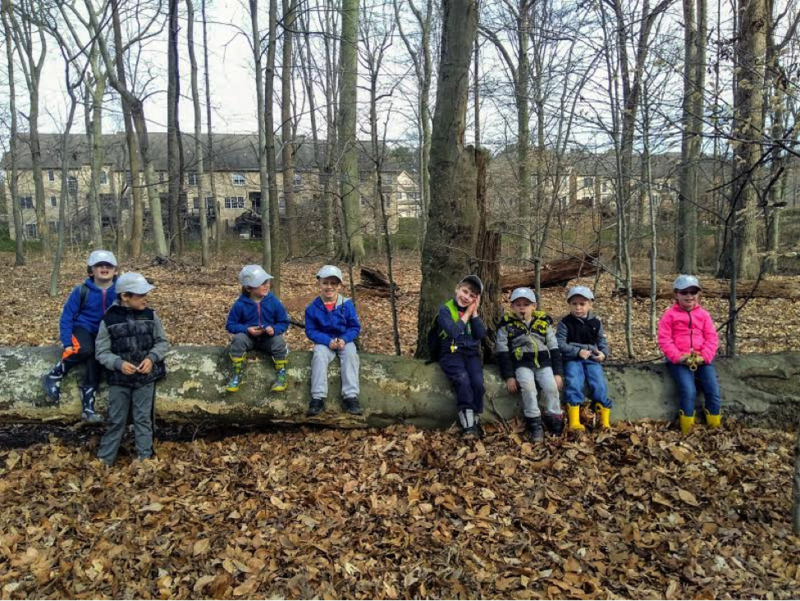 The parents of the Cub Scouts–many of whom are lifelong residents of Bucks County–admitted that they had not even known about Hart’s Woods existence prior to the hike, but they appreciated that it, and places like it, were being protected. By the end of the hike, not a single Cub Scout wanted the fun to end–parents were having to negotiate in an attempt to get the kids to leave Hart’s Woods and head home! The great success of the outing proved how vital it is for children to freely connect with nature, explore physical limits, and enjoy time outside. Fond memories of outdoor adventures are often the catalysts for taking action to protect the environment.